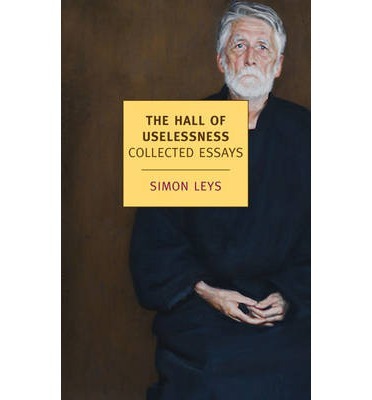 A good friend recently gave me a copy of a book called ‘The Hall of Uselessness‘ by Simon Leys, the pen name of the late Pierre Ryckmans, the renowned Belgian-Australian sinologist, literary critic, and writer. “In his quest for immortal fame, Don Quixote suffered repeated defeats. Because he obstinately refused to adjust “the hugeness of his desire” to the “smallness of reality,” he was doomed to perpetual failure. Only a culture based upon “a religion of losers” could produce such a hero. I’m already into the second chapter, which includes an amusing private exchange between the author and the late Christopher Hitchens on the topic of Hitchens’ irreverent attack on Mother Theresa. I’m especially looking forward to his chapter on G.K. Chesterton, amidst a wealth of other literary commentary; but I suspect the most intriguing section will prove to be the significant minority of the book dedicated to Ryckmans’ work as a sinologist, exploring Chinese political and literary culture from the misunderstood Confucius to contemporary political dissidents. How is this possible, I ask you? Solitude can be created by the mind, it is not a matter of distance. I gaze toward the faraway mountains. I wish to express it, yet find no words. Thank you greatly for the gift Mark, I know I will enjoy it! Actually I forgot to…thanks for adding it! Sigh but later incarnations he regressed..